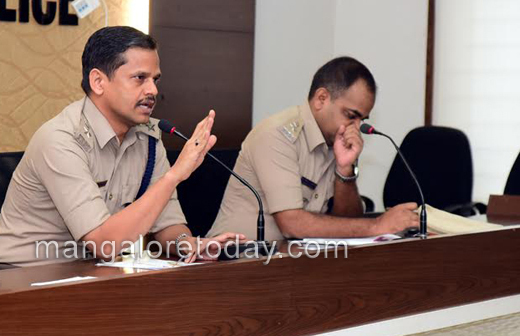 Mangaluru, Aug 29, 2016: The Mangaluru City Traffic Police have been booking an average of 30 traffic violation cases with inputs from CCTV, closed circuit television cameras installed at various locations in the city. 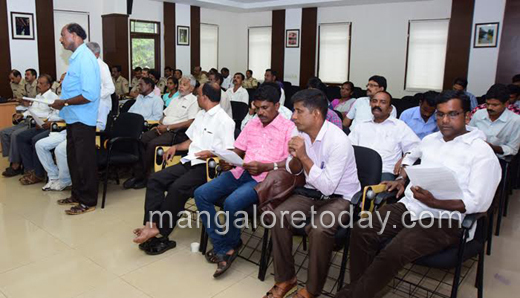 Stating this at the monthly grievance redress meeting of people from Scheduled Castes and Scheduled Tribes here on Sunday, Deputy Commissioner of Police (Law and Order) M. Shantharaju said the cases involved riding without helmet, traffic signal jumping and other traffic violations. He was responding to statements from participating leaders that the CCTV cameras were not working properly. Increasing atrocities : The leaders also demanded installation of more cameras in Dalit localities in the wake of increasing atrocities against them. Dy Coommissioner Shantharaju said the department had installed CCTV cameras at vulnerable locations and it was an ongoing process. The department would also request the MCC Mangaluru City Corporation to install such cameras in important locations, he said. Festivities : Meanwhile, Dalit leader Eshwar urged the Police Department to reign in people who decorate themselves in different attire during festival seasons and disturb peace around residential localities, hospitals and other places during late night. He urged the police to fix timing for performance of such ‘veshas’. Responding to this, Dy Comm.. Shantharaju said the police could not fix timings for such performances. However, the organisers would be asked not to disturb peace during the performances. Also, general public, who would get annoyed by such acts, could complain to the police, who would immediately take action in such cases, the official promised. 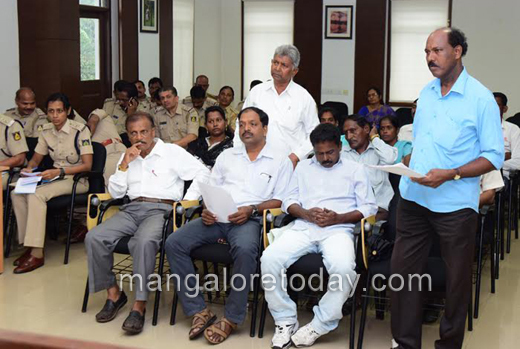 Deputy Commissioner of Police (Crime and Traffic) Sanjeev M. Patil and other senior officials were present. The attitude of the people cannot be changed by the installation of CCTV camera’s. If we have the intention of harming others they will do it . Instead get strong law and order into force . For eg; In temples the CCTV is must still the theft takes place ? If CCTV cameras are not in the working condition what is the need of installing them. In spite of Installation of CCTV cameras the temples and other places are being robbed.hat about this?